Introducing Blackvue Premium HD, the vehicle black box with natural image reproduction with clear and wide image quality @1280 x 720 resolution @ 30 fps. 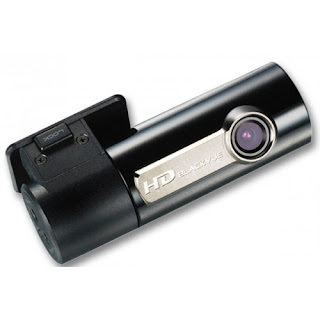 DR380G-HD will provide the best images in high definition packed in the compact and sleek cylindrical body. With other great features such as the patented motion detection, 3 axis G sensors and GPS built-in, DR380G-HD will bring you the new experience of a mid range vehicle black box with affordable price. Event recording in case of an impact such as quick start or sudden stop. You can set to automatically switch between parking mode and normal recording mode. Voice Guide informs you of the settings and status of BlackVue in real time. The front LED indicators change the color to indicate the recording status and GPS reception status. You can record the video in the common MP4/AVI formats and play it in multiple players. Provide the BlackVue application - smart phone dedicated viewer that facilitates the playback of video and supports various settings to your preference in your Android OS products such as tablet or smart phone. PC (for Windows)-dedicated BlackVue software is featured by power video search, video resolution setting, voice guide, LED indication, auto switching of the parking mode, and more. The Video Out port enables you to synchronize the product with the navigation system so that you can monitor the real-time video. Ultra-compact size, rainbow indicator supporting different colors, and refined silver label - all of which makes the product suitable to decorate any vehicle; 360° rotation of the main unit enables your recording in any direction or angle. The built-in high-sensitive GPS records the vehicle speed and status information, which can be synchronized with Google Map to display the driving path. The driving path-based video search software, MyWay Viewer provides the index system that you can use to trace back the location of the accident.